Over the past couple of years I’ve slowly begun baking (this was one of my first attempts! ), and with an occasional disaster (a particular baking soda mishap comes to mind) it has been largely uneventful. Quick breads are charming, especially during autumn, and for a long time I stuck with them, intimidated by the whole kneading/rising process in baking yeast breads. Despite the fact that I had no idea what I was doing, I kept finding recipes that involved yeast that I desperately wanted to try and so I finally took the plunge with a Taste of Home's roll recipes. It involved dissolving the yeast in warm lemon lime soda, and after tasting the results was I hooked. In fact, the whole family was. I experienced a few less than spectacular results after deviating from the roll success, so I decided to give my old Fanny Farmer cookbook a try. I found myself coming back to that particular cookbook more and more, because the recipes are consistently more reliable than those I'd found in some of my.... fancier... cookbooks. My beautiful Martha Stewart baking cookbook is lovely to look at, but today I gave it over to Sadie to play with... You see while the pictures are beautiful, the recipes, at least in my not-professional-level hands, leave something to be desired. I’d tried recipe after recipe and, going against my nature, have closely followed the instructions. Time and time again the recipe fell flat. They looked beautiful, but even my not-exactly-picky-family admitted that the resulting cakes, cookies and brownies weren’t great. So I went back to my old, simple trusty cookbook. 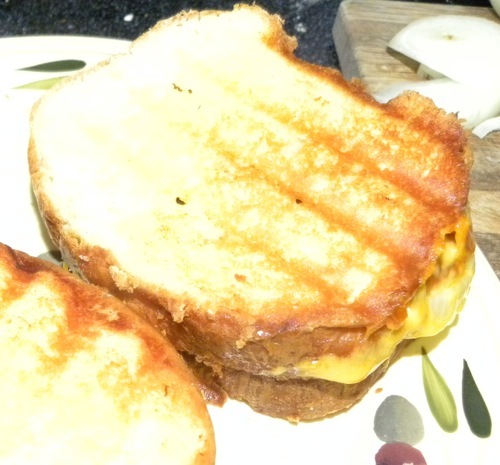 And my family suddenly thought I’d become a culinary genius (I just assured Paul as he headed back to class that I think pretty much anyone can make a grilled cheese sandwich, although the homemade bread with a bit of garlic powder mixed with butter did give it a boost). The recipes in that particular cookbook, even with my little twists and changes, work. This gave me the courage to give yeast bread baking a second try. Last night I tried the “simple white bread” recipe in my Fanny Farmer Cookbook (after reading the intro in the baking bread section, in which I learned a lot!) and I’ve spent a large part of the morning wondering how the bread that results from that recipe can even be considered to be distantly related to the sort of bread I’d pick up in the super market aisle. After that I spent quite a bit of time wondering how people went from primarily eaten bread baked at home, to eating grocery store bread… Maybe the difference wasn’t as drastic at first? Because if I'd only eaten homemade bread and you handed me a piece of regular grocery store bread... I wouldn't be thrilled. The two loaves of bread I baked last night have already disappeared. The girls descended on them minutes after it was out of the oven, as I called out warnings of: “it’s hot!” they pinched off pieces with their fingers (from a piece I'd cut off because I wasn't sure if it was done...) and quickly devoured it. We ate it with pulled pork last night for dinner, and with cheddar cheese and onions for lunch… and it is now almost gone (there’s a little bit left to go with our cheddar and brocolli soup for dinner). Sadie loves every step of the process, which makes baking a bit more difficult at times, but which is also helpful when it’s time to knead the bread. When I want to take a break she giggles and steps in. When the bread comes out of the oven the fact that she helped means she’s incredibly excited to see the finished result (you’d think I was pulling a cake out of the oven). And so my new goal is to make Monday and Thursday’s around noon “Baking Day” at our house. We’ll make a couple loafs of bread to last the rest of the week and Sadie will get her chance to do one of her favorite activities (she spends a lot of time pretending to knead “pizza” while turning over a brown fluffy blanket again and again). Now I just need to find a couple more bread loaf pans, so that I don’t have to use my seasonal thanksgiving pan every day! It's not the best pan to use for yeast bread! Makes you wonder where the phrase, "it's the best thing since sliced bread" came from. What you might put a thought into is a sourdough starter. Most are really quite simple, and while I can't remember the recipe I used for mine off the top of my head, a quick google search provides the answers. Yeast breads like those take a bit more time to produce, but most of that time is waiting, and a good, aged starter does a lot to help along the process. Best of all, a household's starter will become more and more specific to that household over time. Some of the best San Francisco bakeries (who are famous for the stuff) have been using the same starters for decades, if not longer. It's good to see people enjoying traditional tasks like bread baking. I find the process to be thoroughly therapeutic. And, as you said, there really is no comparison with commercial breads. After about 35 years of marriage, I finally broke down and shopped for a good stand mixer with dough hook. I got a great price on EBay, and it's been off to the races!!! I'm so happy that our temperatures are supposed to drop drastically overnight, from the 80s today down to the 60s tomorrow; I hope they stay that way, as it is definitely bread-baking and soup-making season!!! Starters are great!! I've done a few of those - sourdough and a cinnamon Amish bread - both delicious, and easy. I have always wanted to bake my own bread...my mom had a breadmaker, and used it at least 3x a week...I don't have a breadmaker (unless you count kids, but my 8mo old isn't ready for that yet! ;-) so maybe I can work up the courage to knead my own. 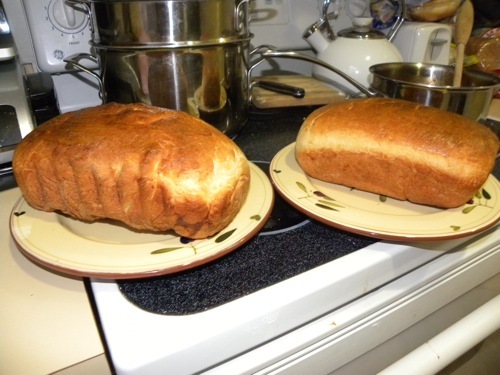 Mmm...homemade bread is the best! Baking bread is really much easier than most people think it is. If you search New York Times.com you will find a super easy recipe for no-knead artisan bread. It is fantastic. EVERYONE loves it, and it is so simple and inexpensive to make (only uses flour, salt and yeast). It's not a sandwich bread so much, but a dinner bread...goes well with soups or just with butter. I also used to make sourdough bread, and it was really good. It's actually easier than you think and I made my own wild starter. http://www.tuftyceramics.com/ makes the absolute best bread pans; I own a few. I recommend Rose Levy Berenbaum's Bread Bible, which is where I heard of these pans. I have made some awesome breads from this book. I use a bread machine, but only on the dough cycle for kneading. I got one at a thrift shop for peanuts. 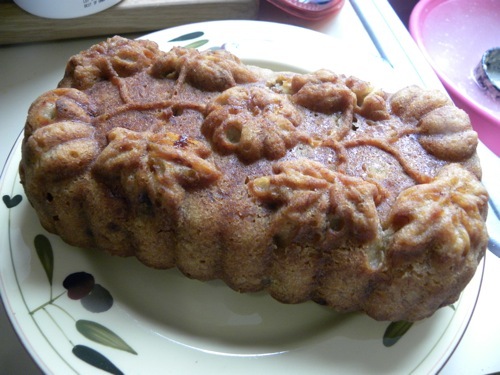 I used to use my KitchenAid mixer for this, but it broke on a batch of whole-grain type bread.